Preparation Time : 15 minutes or less Cooking Time : 12-15 minutes. 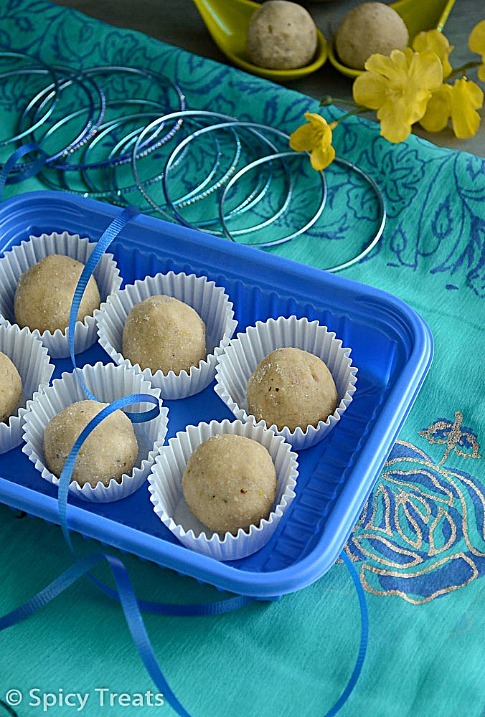 Makes About 15-17 small sized Ladoos. And to the same pan, add wheat flour and roast in low-medium heat stirring continuously until flavor comes and it turns light golden brown colour. (5-7 minutes). Then in a blender, blend together cardamom and sugar to a fine powder and keep aside. Then grind pistachios to a fine coarse powder and keep ready. And now in a wide plate or bowl, add flour, powdered sugar, ground pistachio and mix well. To this add ghee and oil mix everything well, i did by adding oil-ghee little by little and shaped it. And immediately shape it a round balls/ladoos. That's it..Delicious Atta Laddo ready. 1/2 cup ghee or oil+ghee mixture should be added, otherwise you cannot shape it to ladoo and also it will not taste good. 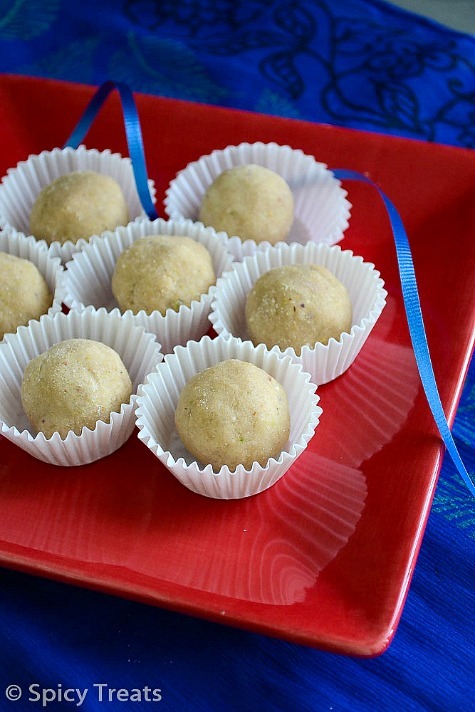 Use ghee for more flavor and taste but to me 1/4 cup ghee is more enough and we totally loved the ladoos. I used Aashirvadh Whole Wheat Flour / Atta. 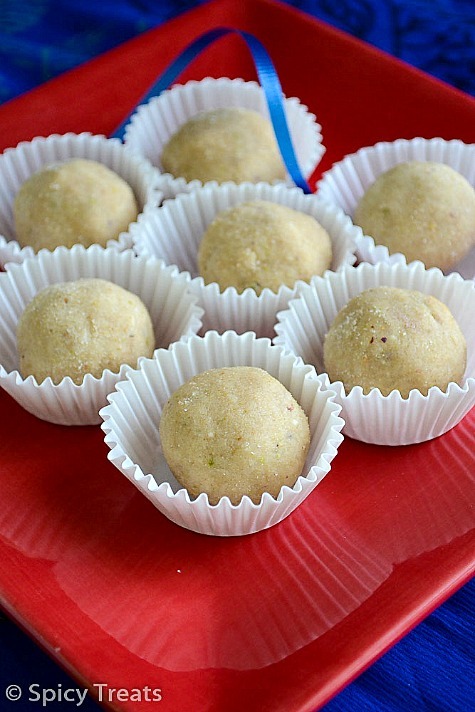 lovely laddoos..............................want to pop one into my mouth right away!! Yummy laddo.............You made it perfectly. "Happy Diwali" to you Sangeetha. 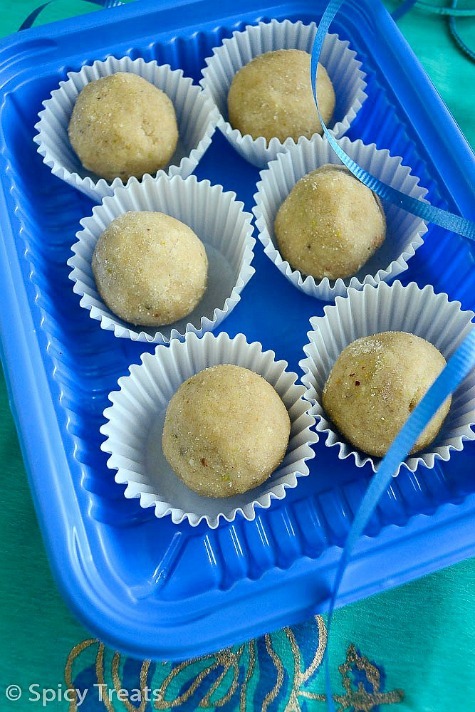 Wat a health take off from the usual laddoos, i always want to make these laddoos but still they are in my to do list..Looks fabulous Sangee. Oh they are simply beautiful!!! love all the pictures!! 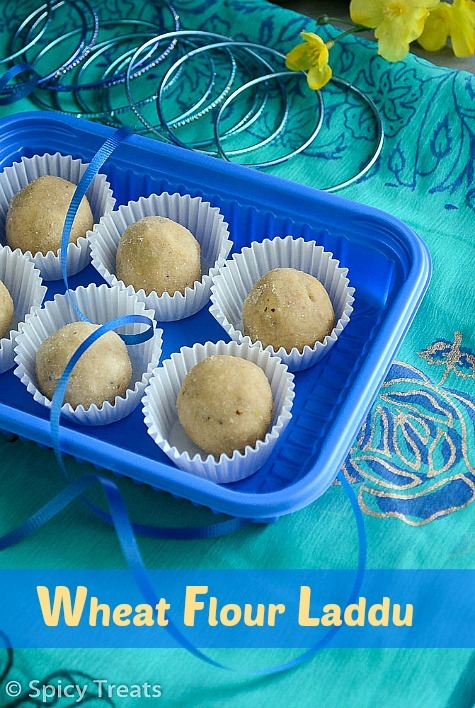 Healthy and yummy ladoos...I loved it! !